Heating and Air Conditioning Systems, Heat Pump Systems, Thermostats and Control Sysytems, Humidifiers, Dehumidifiers, Air Purification Systems, Tank and Tankless Water Heaters, Gas Fireplace Installation, Dryer Ventiliation, Bathroom Fans, Garage Heaters, Custom Duct Work. 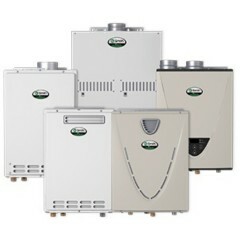 New Product Brands We Offer: Aprilaire, Broan, Coleman, Fujitsu, Goodman, Honeywell, Rinnai, Heil, A.O. Smith, and many others. Brands We Service: All major brands. FREE ESTIMATES! Call us anytime for a free estimate. We are happy to visit, inspect, and offer professional suggestions for repair, replacement and new installations. 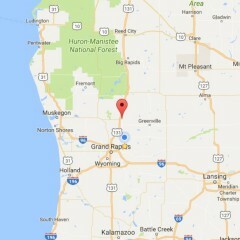 Grand Rapids, Muskegon, Wyoming, Ada, Whitehall, Belding, Fremont, Rockford, Jenison, Grandville. Allendale, Paris, White Cloud, Eagle, Rothbury, Clarksville, Weidman, Rodney, Hamilton, Howard City, Shepherd, Westphalia, Newaygo, Pompeii, Portland, Big Rapids, Marne, Vestaburg, Wayland, Jamestown, Chase, Perrinton, Stanton, Morley, Elwell, Shelbyville, Hubbardston. Hart, Woodland, Hastings, Evart, Six Lakes, Vermontville, Dorr, Hopkins, Twin Lake, Elm Hall, Cedar Springs, Cannonsburg, Orleans, Grant, Mecosta, Kent City, Chippewa Lake, Lakeview, Sumner, Lake Odessa, West Olive, Coopersville, Cloverdale, Nashville, Grand Haven, Hesperia, Hersey, Reed City, Martin, Delton, Shelby, Ravenna. Ferrysburg, Macatawa, Greenville, Conklin, Sidney, Carson City, Belmont, Nunica, Riverdale, Remus, New Era, Walkerville, Ionia, Palo, Gowen, Ithaca, Allegan, Moline, Fruitport, Maple Rapids, Saranac, Winn, Stanwood, Alma, Mulliken, Spring Lake, Byron Center, Freeport, Sears, Bitely, Idlewild... and more! 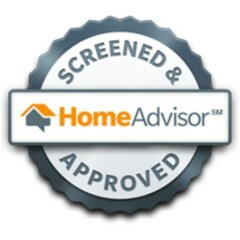 Screened and Approved by Home Advisor™. For heating, cooling and ventilation systems across West Michigan, homes and business depend on Absolute Heating and Ventilation. Top quality equipment, competitive prices, and the finest customer service. When it's time for new equipment, we recommend and install the top brands, too. Modern energy-saving systems designed for your specific situation and comfort. 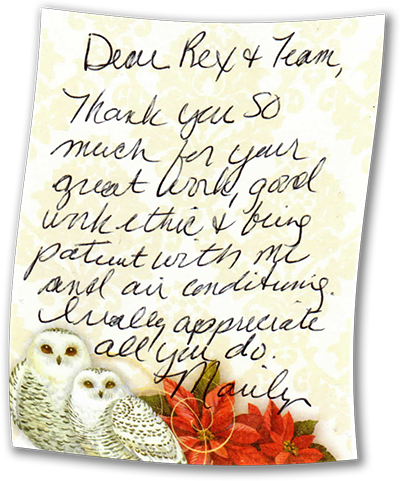 Check our online reviews from hundreds of happy customers. Then make the absolute best choice. Call Absolute Heating and Ventilation today! Experience enhanced comfort with your HEIL ION™ System Control. 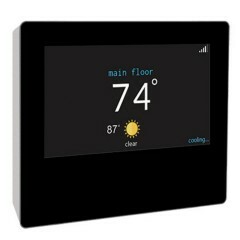 Mere thermostats simply don’t offer all of the features and functionality of the ION™ System Control. Offering full command over a communicating comfort system, including temperature, humidity, ventilation, comfort scheduling, energy management and more, this is our most fully-featured control. Anywhere in the connected world, you are just a touch or a tap away from full system control with an internet-enabled device. Save Energy. Save Space. Save Money. The A. O. Smith family of tankless water heaters includes condensing and non-condensing units to fit any homeowner’s needs. The condensing tankless water heaters feature Ultra-Low NOx condensing technology and all models meet ENERGY STAR® qualifications. Fully modulating, non-condensing gas tankless water heaters feature a sealed combustion and power vented flue. Indoor and outdoor models are available for residential applications. The units also supplies hot water to domestic hot water systems, which can be used with storage tanks, recirculation systems, hydronic heating systems, radiant floor heating systems, and/or combined domestic & heating applications. Endless Hot Water. Heating water only as it’s being used means you will never run out of hot water again. After the few seconds it takes for the water to reach the designated set temperature, our tankless water heaters will continually provide a steady flow of hot water for as long as your application needs it. Energy Conservation. The A. O. Smith tankless water heaters provides you with continuous hot water in one of the most energy-efficient ways possible. Conventional tank-type water heaters will heat and store a set volume of water, regardless of whether someone is using that hot water or not. Because our water heaters only activate when hot water is being used, no standby energy losses are incurred, providing efficient heating and conserving gas energy. Compact Size. An A. O. Smith tankless water heater takes up much less space than a conventional tank-type water heater. With no tank to steal valuable storage space, A. O. Smith’s wall-mount design allows for additional storage and flexibility. Call Absolute Heating and Ventilation today to learn more. Get a free estimate for your installation. (616) 866-5096.